For the correct usage of your industrial hose, it’s vital that the right connectivity is assured. Without the very best in hose couplings and fittings, the quality of your product will never be quite up to standard. 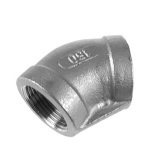 In essence, a coupling is the meeting point between one or more hoses. This allows for longer transferral of materials via various different hoses so if you have a relatively short hose, coupling it with a fitting to another hose can be more viable than buying a larger, more expensive hose altogether. They are also vital when it comes to the connection of a hose to a water source, such as a tap. If you’ve ever used a garden hose, you may notice that there is some leakage at the tap as you only have a rudimentary and basic hose. Although acceptable for non-commercial use, heavy duty applications require industrial couplings for a smoother process. Coming in many different forms and varieties, they also have a broad range of different usages across many industries. Understanding exactly which coupling you need for application is highly important and the simplest way to think of this is: the heavier the process, the more robust the material needs to be. Therefore, you should invest in something such as a stainless steel adaptor for higher-end applications whereas a coupling made of aluminium will suffice for a small operation. If you are unsure, you can always ask the team at Buckley Industrial for more information.